This is an exciting time of year as we are ramping up for World of Concrete. For those that might not know what that is, it is the largest concrete/masonry convention with more than 1,500 exhibiting companies and 58,000 registered industry professionals. They also have education seminars as well as certification classes. One of the fun things is the endless swag and the interesting demos you can watch. This convention is so large, they are set up in halls. This will be the third year in a row that RedArt Technologies is an exhibitor. 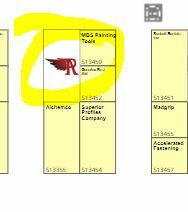 We will be hanging towards the back of the South Hall, S13351. We like the South Hall as this is where a lot of the Decorative Concrete people are. 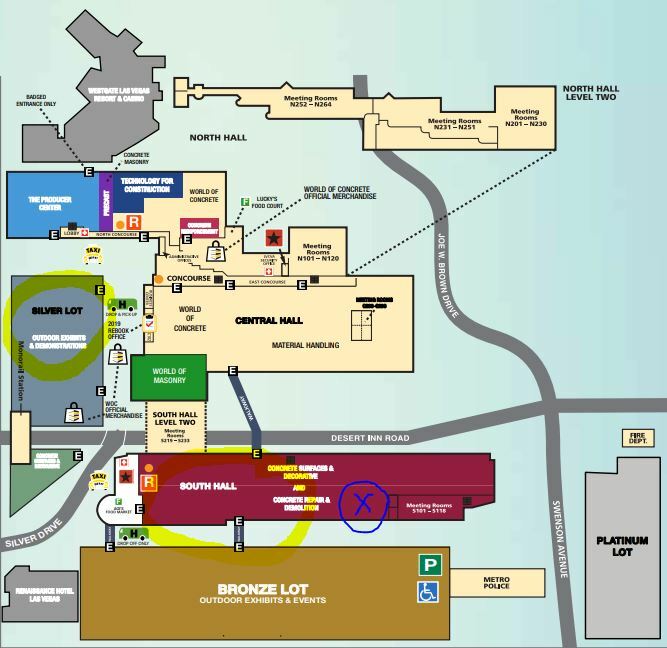 However, we are also going to be doing demos in the Silver Lot this year. We are partnering with Universal Polishing Systems who has a booth in the Silver Lots: O40527. They are an amazing company with over 20 years’ experience in concrete. We are excited to be working with Dave and his team as we plan to do a live engraving of their logo on Wednesday (Jan 23) at 11am. From there they will do the polishing systems finish. This year we have an amazing line up as we are bringing a couple of our top distributors to be apart of our booth. 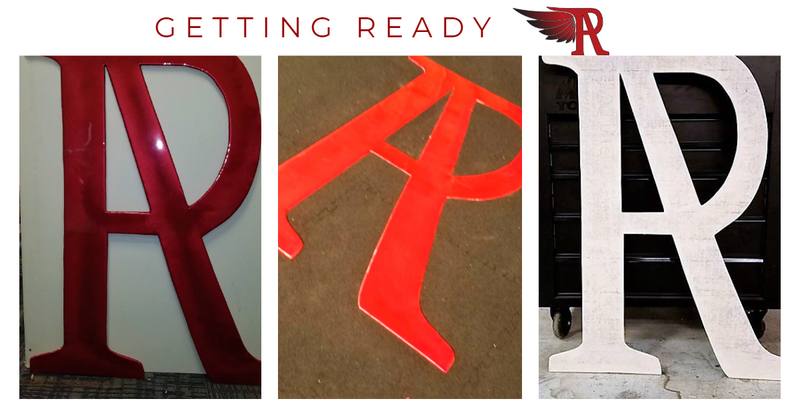 We will have Ralph Hansen from Endless Engraving, Michael Wanco from Bolder Engraving, and stopping by is Christi Tamayo from Select Surface Solutions. We welcome everyone to stop by and say hi. In fact, we are also having an engraving give-away. On our Facebook, we have a “social challenge” for people to like, react or share for entries for a free engraving. We will include this blog post to that. 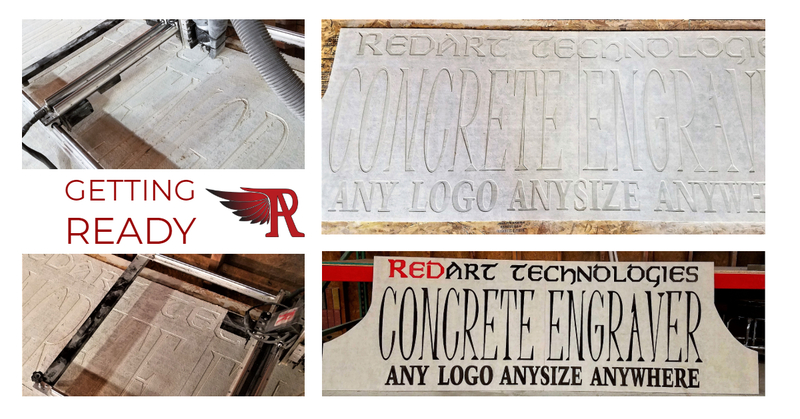 Anyone that shares this blog post will get 5 entries to win a chance to see their company logo engraved at World of Concrete. 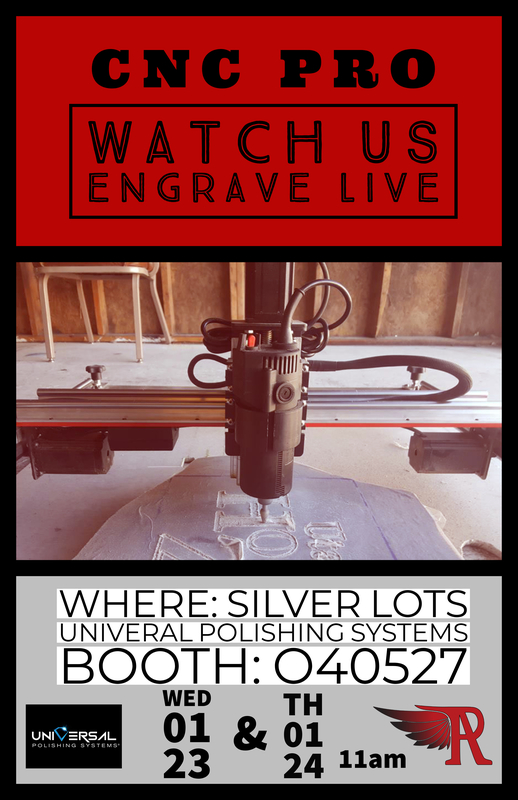 We will have a total of TWO live engravings happening at the Universal Polishing Systems booth, Silver Lots: O40527. The first one is on Wednesday at 11am where we will be engraving their logo. 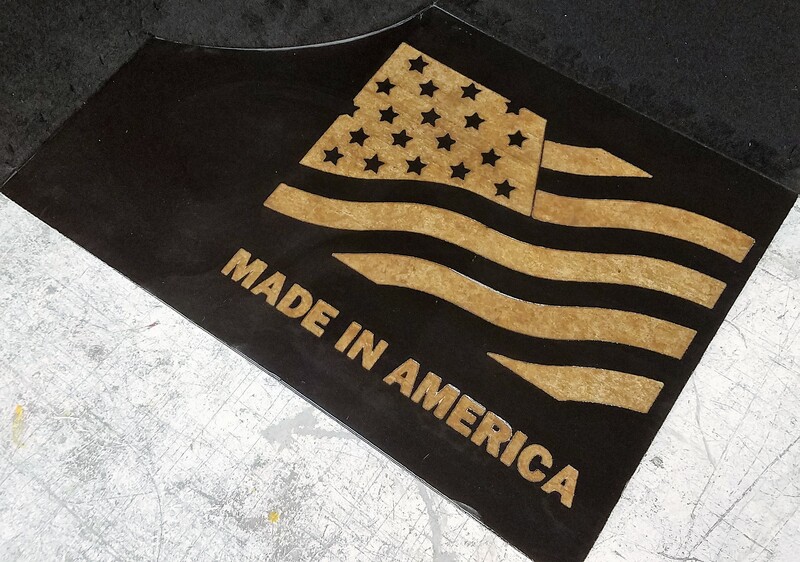 We want to show the consistent results the CNC PRO does as we will have one logo engraved ahead of time for Universal Polishing Systems demonstrations. 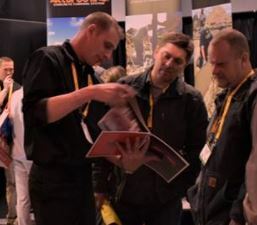 The live demo will show the conveniences of a programme logo over using a stencil (hand engraves). The results will be consistent with the previous engraved logo at half the time of the alternatives. The second engraving will happen live on Thursday, January 24, at 11am. 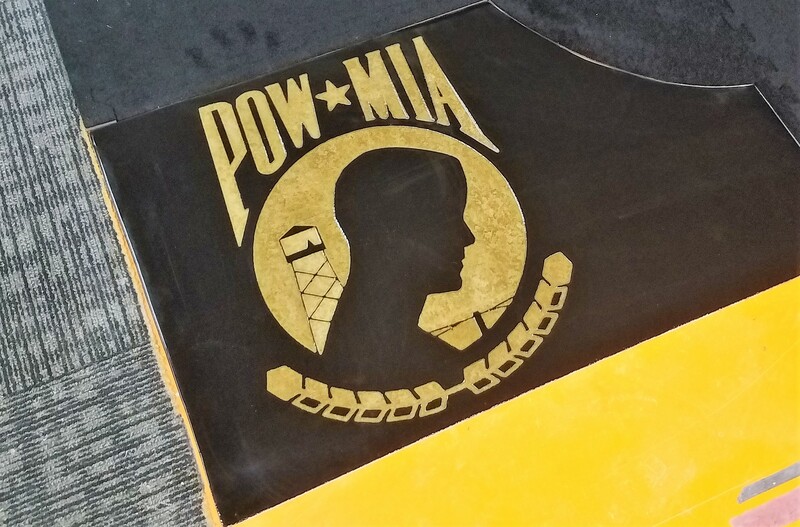 The second one is where we will engrave the winner’s logo from the social engagement challenge proving how fast and easy it from image to program and engrave. We look forward to engaging with everyone. 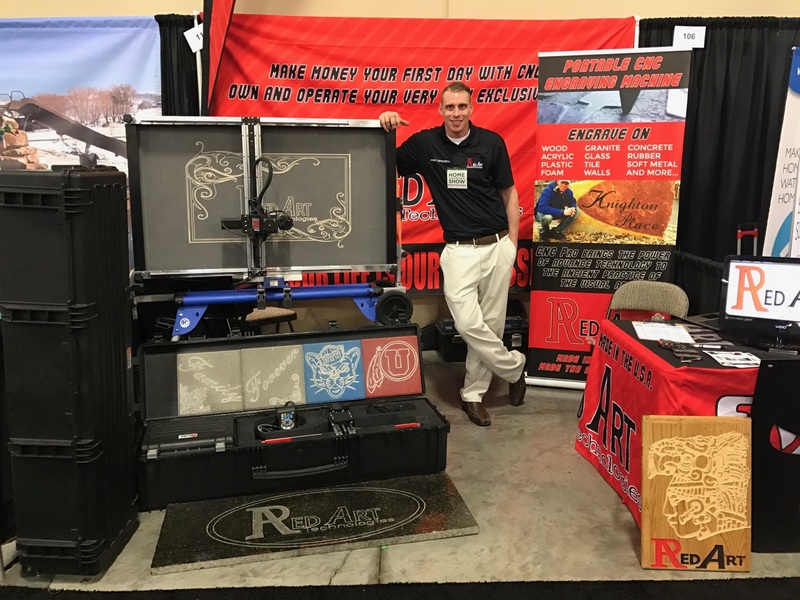 Be sure to stop in, ask questions, as our rock star team will be ready to help you understand all the benefits of the CNC PRO.